My primary interest concerns how the brain "remembers" things. Specifically, I use the techniques of fMRI and EEG/MEG to examine brain activity as healthy volunteers try to remember things in the laboratory, and relate these findings, via computational modelling, to the memory problems following damage in those brain regions. I am interested in the neural bases of both explicit (conscious) memory and implicit (unconscious) memory, particularly the relationship between recollection, familiarity, and priming, and the relationship between memory and (visual) perception. A deeper knowledge of these different expressions of memory is important for understanding the ubiquitous memory impairments associated with neurological damage, neurodegenerative diseases such as dementia, and normal ageing. I am an MRC Programme Leader, University of Cambridge Professor, and Deputy Director of the MRC CBU. MRC CBU, 15 Chaucer Road, Cambridge, CB2 7EF, UK. Andrea Greve: Predictive, interactive multiple memory signals (MRC). Elisa Cooper: Memory in ageing and dementia (MRC). Roni Tibon: Schema and unitisation in memory (Newton then British Academy Fellow). Aya Ben-Yakov: Prediction error and event boundaries (EU Marie Curie Fellow then Blavatnik Fellow). Darren Price: Neurocognition of ageing (EU Horizon 2020). Kamen Tsvetanov (with James Rowe): Activity and connectivity in ageing (British Academy Fellow). Levan Bokeria (PhD): spatial and nonspatial schemas (Gates). Alex Quent (PhD): The role of schema and expectancy in episodic memory (Gates). Brieuc Lehmann (PhD, led by Simon White, MRC Biostats Unit): Characterising dynamic functional connectivity (MRC). David Nesbitt (MD/PhD, led by James Rowe at Clinical Neurosciences): Detection of dementia in the community (MRC). David Howett (PhD, led by Dennis Chan at Clinical Neurosciences): Spatial navigation in dementia (MRC). Tina Emery (RA): CamCAN and CALM coordinator (MRC). Alex Kaula: MRC studentship to work on Effects of Priming on Subsequent Associative Memory: Testing Prediction Error and Attentional Accounts. Hunar Abdulrahman: Cambridge International PhD Scholarship to work on Investigating neural correlates of stimulus repetition using fMRI. Now returned to medical training in Iraq. Seyedehrezvan (Rezvan) Farahibozorg: Cambridge International PhD Scholarship to work on Uncovering Dynamic Semantic Networks in the Brain: Using Novel Approaches for EEG/MEG Connectome Reconstruction. Now post-doc in Oxford. Jiri Cerova: MRC PhD Studentship to work on Computational modelling of prediction error in probabilistic associative learning. Now working in AI industry. 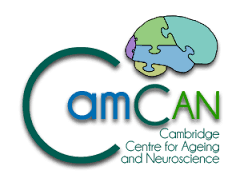 Lara Bridge (RA): Enriching CamCAN for LifeBrain (EU Horizon 2020). Now pursuing a PhD in Amsterdam. Ali Trelle PhD, led by Jon Simons, on Episodic memory decline in health ageing. Now a post-doc at Stanford University. Alex Lau PhD, led by Emily Holmes, on Intrusive emotional memories: a special form of memory?. Now a post-doc at Kings College London. Daniel Wakeman Elekta PhD studentship to work on Multi-stage evaluation and improvement of MEEG Part 1 and Part 2. Now post-doc at Martinos Center for Biomedical Imaging. Aidan Horner MRC PhD Studentship to work on Stimulus-response learning in priming and repetition suppression. Now a Lecturer at University of York. Elias Mouchlianitis Self-funded PhD to work on Hemispheric asymmetries in face priming. Now a post-doc at Kings College London. Lisa Brindley Elekta PhD studentship to work on Clinical potential of MEG in dementia. Now a post-doc at University of Cardiff. Karen Taylor. MRC Studentship, led by Kim Graham, to work on Role of medial temporal lobes in recognition memory for faces vs scenes. Now a post-doc at University of California at Davis. Chris Berry. UCL PhD student, led by David Shanks, to work on A single-process model of recognition memory and priming. Now a Lecturer at University of Plymouth. Michael Hornberger. UCL PhD student, led by Mick Rugg, to work on EEG and fMRI investigations of retrieval orientation. Now a Professor at University of East Anglia. Linda Geerligs (NWO Veni Fellow). Now a Research Fellow at the Donders Institute in Nijmegen. Arjen Alink (British Academy Fellow). Now a Research Fellow in Hamburg. Rogier Kievit (former post-doc working on ageing in CamCAN BBSRC project). 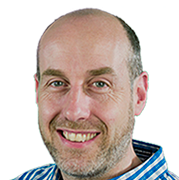 Now Sir Henry Wellcome Trust Fellow and CBU Programme-Leader Track. Bernhard Staresina (former Sir Henry Wellcome Trust Fellow working on functional integration within the medial temporal lobes). Now a Sir Henry Dale Wellcome Trust Fellow and Birmingham fellow. Nick Furl (former ESRC Fellow working on neurocomputational models of dynamic face processing). Now a Lecturer at Royal Holloway University of London. Nitin Williams (former post-doc working on ageing in CamCAN BBSRC project). Now a post-doc at University of Helsinki. Jason Taylor (former MRC CBU post-doc working on recollection, familiarity and priming) Now Lecturer at the University of Manchester. Pierre Gagnepain (former INSERM post-doc working on relationship between recollection, familiarity and priming). Now a Senior Research Associate at University of Caen. Marie Smith (former MRC/GSK CBU post-doc working on sleep deprivation and MEG). Now a Senior Lecturer at University of Birkbeck. Morgan Barense (former MRC CBU post-doc working on role of medial temporal lobe in perception). Now a Associate Professor at University of Toronto. Doris Eckstein (former Swiss NSF Research Fellow working on subliminal priming). Now a post-doc at University of Bern. Audrey Duarte (former MRC CBU post-doc working on effects of ageing on recognition memory). Now an Associate Professor at Georgia Institute of Technology.